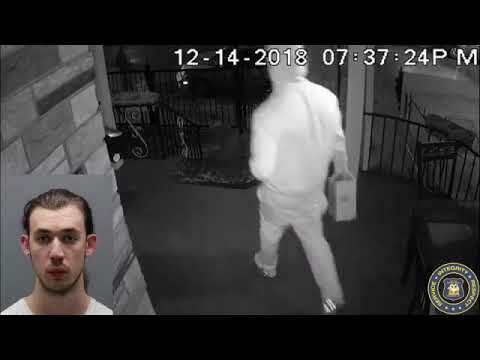 A real-life Grinch is in police custody after he was caught red-handed stealing a package from the front door of a Westchester home. Joshua Ismail, 25, of Bruce Avenue in Yonkers, was arrested this week after he was caught on camera stealing a neighbor’s package and walking off with it, according to Yonkers Police. In the video, hecan be seen walking on Bruce Avenue in sweatpants and a hoodie doing a double-take when he saw the package. He proceeded to walk up to the porch, steal the package and casually take off with it. Investigators did not disclose what was stolen. Ismail was arrested this week and charged with petit larceny for stealing the package. He is scheduled to appear in court at a later date to respond to the charge.